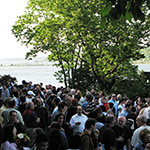 The 2018 CSHL meeting on Nutrient Signaling builds on the prior successful meeting series on the PI3K-mTOR-PTEN network held biennially since 2006. Nutrient signaling encompasses various cell signaling pathways that are regulated by nutrient availability. Cells respond to variations in nutrient concentration by activating signal transduction cascades and networks that modulate important cellular processes including metabolism, proliferation, secretion and autophagy. 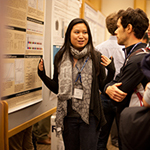 The meeting will begin at 7:30 pm on Thursday, October 25 and run through lunch on Sunday, October 28, 2018, and will include six oral sessions plus one poster session; the program will include a mixture of invited speakers and talks selected from submitted abstracts. We anticipate that most of the research presented will be unpublished and new, with plenty of opportunities for feedback and discussion throughout the meeting. 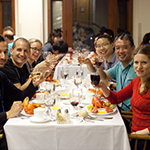 The designated hashtag for this meeting is #cshlnutrient. Note that you must obtain permission from an individual presenter before live-tweeting or discussing his/her talk, poster, or research results on social media. Click the Policies tab above to see our full Confidentiality & Reporting Policy. 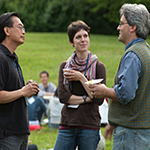 We look forward to seeing you at Cold Spring Harbor Laboratory in October.